Brest State Technical University (BrSTU) founded in 1966 and is one of the largest scientific and educational centres in the Western part of Belarus. Training of highly qualified specialists and fundamental scientific research work is carried out in the field of Construction, Architecture, Electronics, Mechanical Engineering, Economics and Ecology. The University offers 27 undergraduate courses, 27 graduate courses and 15 postgraduate ones. There are about 12 000 students studying at 8 faculties – Civil Engineering, Mechanical Engineering, Electronic and Information Systems, Engineering Systems and Ecology, Economics, Innovation, Management and Finance, Extra-Mural Studies, Pre-University – and at the Institute of Professional Development and Retraining. 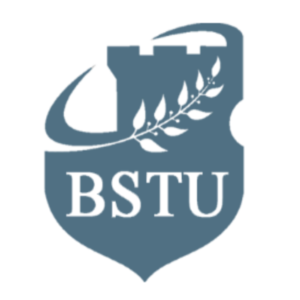 BrSTU actively participates in numerous international projects and programs in the fields of education and scientific-technical research such as the TEMPUS Program, The Baltic Sea Region program, The Erasmus Mundus program, The IAESTE program, The Robert Bosch Foundation program in the spheres of education development and reformation. The University is a member of the Association of European Civil Engineering Faculties with the participation of civil engineering faculties from non-European countries, AECEF. In 2009 BrSTU joined the Baltic Sea Academy, a Hamburg-based organization that unites European universities and academies, with the aim to intensify the University’s international cooperation. 22 library staff.